The Skyline Horizon is the student-run news outlet for Skyline High School. Our dedicated staff of young journalists report and produce content covering all aspects of the school, as well as national matters that affect us as a student body. We work tirelessly to report the facts, and only the facts in our news articles. However, we also cover several topics outside of news. Our Arts & Culture team covers everything from the latest album releases to the quality of food at local restaurants. 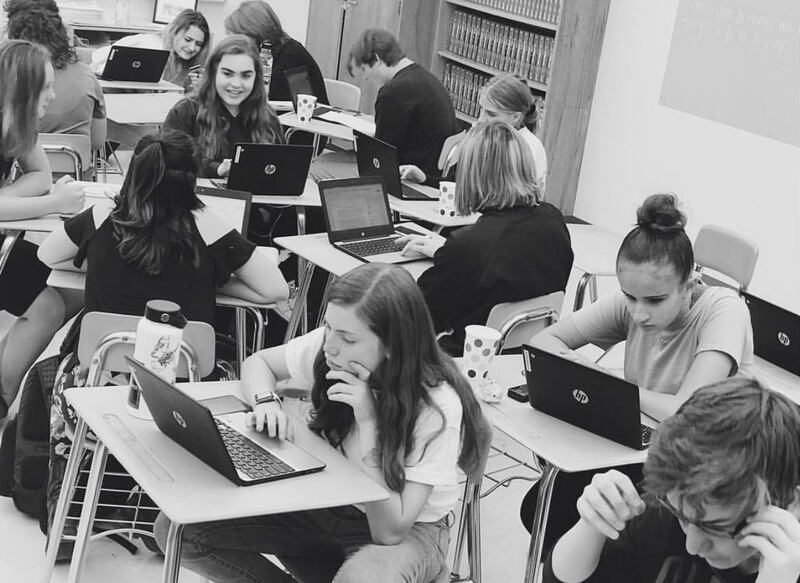 Our Opinion team speaks their minds on a variety of issues, ranging from the job performance of our president to the impact of social media on high school students. Our Sports team largely covers Skyline’s own sports, while also keeping students informed about the local college and professional teams. Finally, our featured stories team highlights specific students and activities that spark student interest around the school, as well as impactful events and issues. The Horizon boasts two different resources for students to access the news: the printed edition and the online edition. The print edition of the Horizon is a Skyline staple, having been in production for nearly all of Skyline’s history. Compared to that, the web edition is a fledgling organization, this being only its third year of operation. Regardless, both versions of the Horizon are ideal for students to learn about the latest happenings around the school. If you have an interest in journalism and/or writing as a whole, we highly encourage you to join our staff by switching into the Journalism 1 class during period 1A. To keep up with the Horizon Staff throughout the year, or to contact us with any comments or concerns, check out our Instagram @skylinehorizon1.